one of the most beautiful destinations on the coast, between Amalfi and Positano. Perfect starting point for the evocative Sentiero degli Dei path, Villa Maria Pia is just a few steps away from the beach and the restaurants of the historic center of Praiano, rich in history and tradition, an oasis of peace and relaxation compared to the famous Amalfi and Positano, easily accessible by car or by public transport that stop just outside the hotel. and numerous excursions on private boats can be booked at the hotel reception. High fashion shopping, lemon liqueur (the limoncello), the Grand Tour, handmade leather sandals, the Grotta Azzurra, some exclusive hotels and an unspoiled nature. All of this is Capri! One of the most exclusive destinations in Italy. Impossible to resist to the millennial charm of this island! Clung to a cliff in front of the Bay of Naples, Sorrento offers to all the travellers a spectacular view and the beauty of Piazza Tasso, rich of historical cafes and surrounded by a real maze of alleys. Don’t miss the Church of San Francesco dating back to the sixteenth century and the cuisine of Sorrento restaurants. Praiano is a real oasis of peace, a fishing village of 2000 inhabitants rich in historical and artistic testimonies, where you will find thirteen churches and the fascinating frescos of the NaturArte path. The quiet of Praiano is largely appreciated as well as its splendid panoramas of the coast and the many restaurants overlooking the sea. Ancient maritime republic between the IX and XI centuries, suggestive and rich in history, this place is the heart of the Amalfi Coast. Today, it offers a splendid cathedral with a Byzantine facade, the exhibition spaces of the Arsenal Museum and the view of its spectacular cliffs. 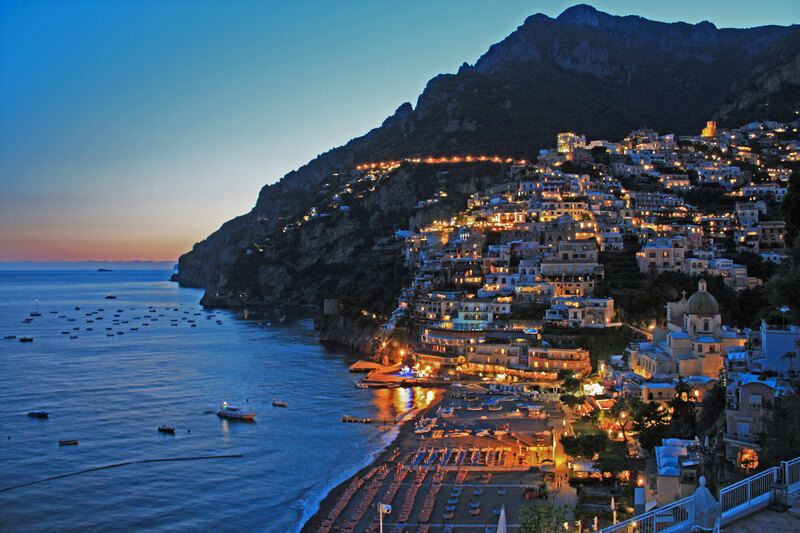 Typical village of the Amalfi Coast, loved by VIPs and artists from all over the world. Positano is a romantic and exclusive place, with ancient cafes, fashion stores, a wonderful beach and some picturesque alleys. From Positano starts the legendary Path of the Gods and its centre hosts one of the most important European archaeological sites: the Roman Villa! Famous for its gardens on the cliffs, Ravello awaits you at 365 meters above sea level. Villa Rufolo is its jewel, an extraordinary and evocative place that hosts the famous Ravello Festival dedicated to symphonic music. Deserves a visit Villa Cimbrone, a medieval residence enriched by spectacular views and by a beautiful garden. 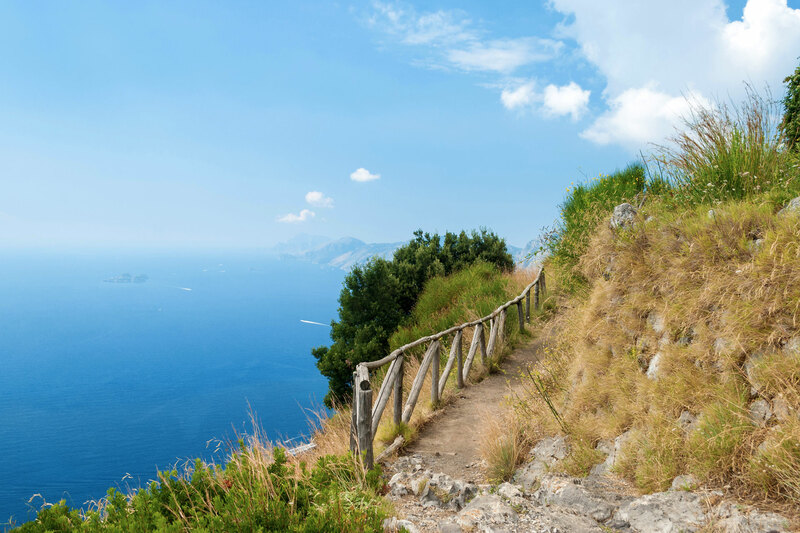 The Amalfi Coast in our blog!